The plan was audacious. That’s how David Crane, CEO of NRG Energy, described it. The vision was to bring a team of volunteers into Port-au-Prince, Haiti, to install a 50-kilowatt photovoltaic (PV) system on the roof of an orphanage in just one week. 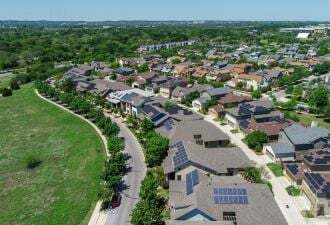 Most seasoned commercial PV installers in the U.S. would likely budget three weeks for such a project -- and that’s with a skilled crew and access to tools and electrical equipment. To complete this project with an all-volunteer crew in a place as isolated as Haiti would require a minor miracle -- or at least a massive contribution of solar expertise and sweat equity. During the first week of June, I led a team from SMA America that joined a volunteer crew from NRG to help bring some light to a dark corner of the world. When a massive 7.0 magnitude earthquake struck Port-au-Prince on January 12, 2010, buildings throughout the capital city were destroyed, killing an estimated 200,000 people. 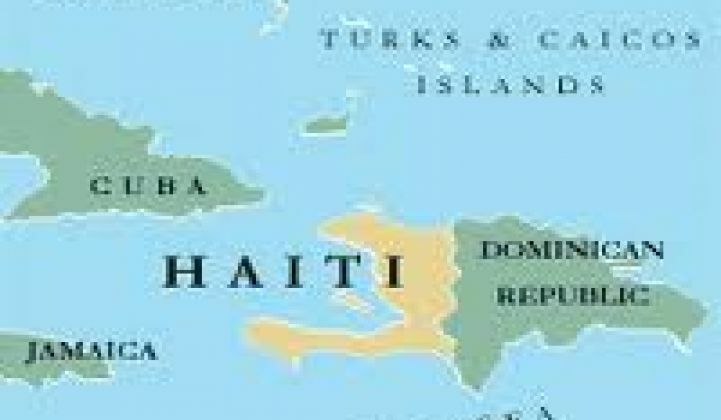 Haiti was ill prepared to deal with the devastation. At the time of the earthquake, a group of 37 children with physical and developmental disabilities had been living in two rooms at the Port-au-Prince general hospital. Many of the children had never been outside, and some were chained to their beds to keep them from wandering off. When the earthquake struck, the children joined hundreds of patients encamped in the area surrounding the collapsed hospital. The director of the hospital pleaded with Dr. Paul Farmer at Partners in Health. Partners in Health reached out to U.S.-based aid organization Operation Blessing and the idea for Zanmi Beni (“blessed friends” in Haitian Creole) was formed. Today Zanmi Beni is an oasis in the chaos of Port-au-Prince. The 70 on-site caregivers provide food, shelter, and care for the more than 48 special needs children living at the facility. 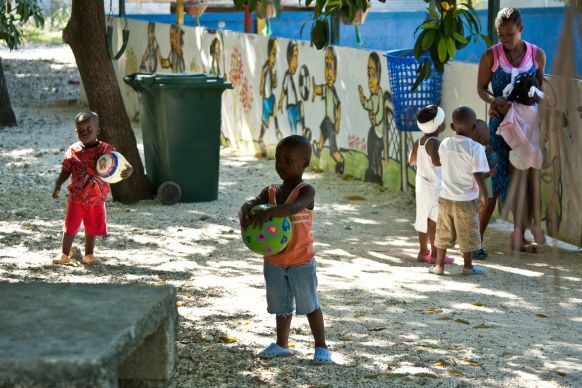 The children have access to classrooms, play structures and even organized sports. Zanmi Beni does not have dependable electrical power. The electrical grid in Haiti is notoriously unreliable -- providing only two to four hours of power a day. A diesel generator provides most of the Zanmi Beni facility’s power. Even with light electrical loads, Zanmi Beni spends $475,000 per year in diesel fuel -- a major component of its operating budget. Partners in Health knew that there had to be a better way. 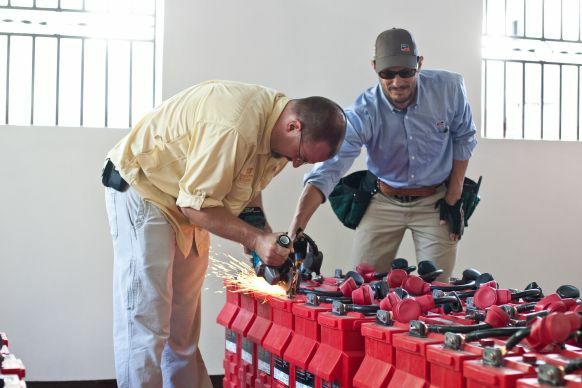 Following the earthquake in 2010, NRG Energy made a $1 million commitment through the Clinton Global Initiative and in partnership with the Solar Electric Light Fund (SELF) to help the people of Haiti develop their economy through the use of solar power. Over dinner one January night in Port-au-Prince, CEO David Crane made a personal commitment to Dr. Paul Farmer to solarize Zanmi Beni. SMA was initially asked to contribute solar inverters and microgrid technology to help manage the electrical flows at the site and agreed to provide inverter systems to harvest the energy coming from the solar modules, connect it with the load centers on the site and deliver excess energy to a large battery bank. 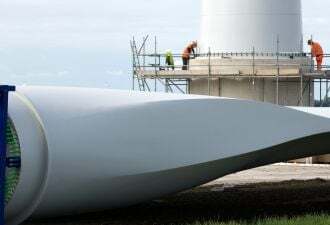 The system would also manage the energy flow from the diesel generator and (when available) from the grid, making the facility self-sufficient while radically reducing diesel fuel consumption. During our discussions with the team at NRG, it became clear that in addition to the equipment, the project really needed specialized expertise to properly design and install the complex system. I quickly assembled a team of experts to go on-site to Zanmi Beni. Once our travel was arranged, we realized we’d only have four days on the job site. On the first day at the job site, we tore up the three-line diagram that we had developed in advance. Despite our best efforts to prepare for the trip, it was clear we needed to adapt to circumstances on the ground -- and circumstances on the ground were quite different than what we had expected. Within the first couple of hours, we hammered out a rough design, assigned work crews and began the installation in earnest. Crews from NRG were sent up to the three roofs, which were slated to receive PV arrays, to install the racking system. The SMA team began planning the layout of the newly constructed battery room, which would end up housing the battery array, the battery-based inverters and the Multicluster Box (an off-grid AC distribution hub) to manage the entire microgrid. Looking through the open window from the battery room, we could see and hear the diesel generator in an outbuilding next door. The din from the generator echoed throughout the site -- it was going to be good to put it into partial retirement. At the end of our first day the Sunny Island systems hung on the wall, PV wire was laid out across the site and we had a good start on the racking. As we piled into the cars for the ride back to the hotel, we knew we had our work cut out for us. We began the second day with a quick discussion on goals before breaking into work crews. I was three stories up on the hot metal roof of the main dormitory, overlooking the river on the other side of the razor wire-topped wall. This roof would eventually house most of the PV modules, so we focused on getting the racking system ready to receive them. As the modules were dropped into place on the arts building and the main house, it actually began to look like a solar installation. The site was buzzing: nearly 40 people were hard at work in the hot sun, the air thick with tropical humidity. While the crews stayed busy on the rooftops, an SMA engineer led Operation Blessing staff through a tutorial of the inverters. The inverters were distributed around the site -- three connected directly to the dormitory sub-panel, and the rest delivering AC across the property to the battery room. A couple of crews were still digging trenches while others were manually pulling thick PV wire through conduit. There was one big issue on our minds: at the end of the second day, there was still no sign of the batteries. In Haiti, it seems that things seldom go according to plan. While most of the equipment had been shipped to Port-au-Prince from Miami, the batteries had been held up in customs for two days. Finally, the head of Operation Blessing’s Haiti crew delivered a plea in Haitian Creole, and the batteries were set free. We all knew that this system would have a big array of batteries, but that still didn’t prepare us for the nearly ten tons that arrived. To be precise, 96 batteries were delivered, each weighing 208 pounds. Getting the batteries from the truck to the battery room involved a tremendous exertion of manpower. By the time the batteries were lined up in the battery room, the rest of the installation was coming together. The main home run across the compound was wired into the off-grid AC distribution hub; the off-grid AC distribution hub was wired to the battery-based inverters and the conduit to connect the inverters to the batteries was in place, ready to receive the “last-mile” connection to complete the battery room. When dawn broke on the last day, we hustled across Port-au-Prince to the job site. The previous day was a Haitian national holiday, and the streets had been quiet. This was market day and everyone was seemingly making up for lost time -- the streets were clogged with traffic. On the rooftops, the last modules were being placed. All of the inverters were hung, and the SMA crew was programming the monitoring system so the installation could be monitored over the internet. We worked hard until it was time to pack up and catch our flight home. We had come to Haiti hoping to help one small facility become energy self-sufficient, and we had achieved our goal. We didn’t get to flip a big switch and watch solar energy flow through the inverters to bring the facility to light, but we did complete the complex work, leaving only a punch list of tasks that the Operation Blessing crew could finish in a few work days. 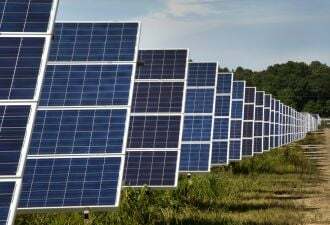 Even more heartening was that we had shown what was possible with modern solar technology, and we left behind a trained crew that can replicate our success throughout the island. Our small project at Zanmi Beni proved that building a reliable energy infrastructure for Haiti doesn’t have to depend on reconstructing centralized energy systems of the past. Instead, Haitians can empower themselves through building a decentralized energy system that puts them in control of their own future. This was an amazing collaboration among SMA, Partners in Health, Operation Blessing and NRG. SMA was grateful for the opportunity to contribute its equipment and expertise and to demonstrate just what is possible when a small group of people takes the time to lend a helping hand. Bates Marshall is director of strategy and business development for SMA America, the U.S.-based subsidiary of solar inverter leader SMA Solar Technology AG, headquartered in Germany. In his current role, Marshall is responsible for performing market research and secondary analysis of the North American photovoltaic market to enable definition of the company’s strategic direction.